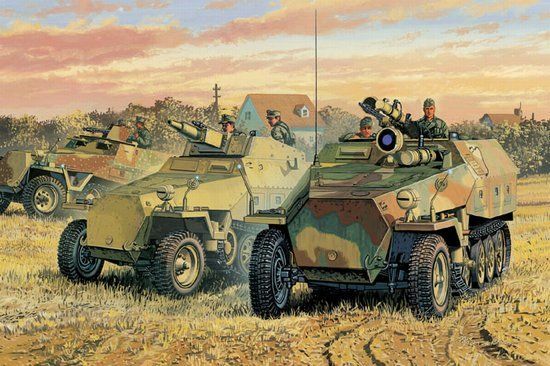 This new kit can be assembled into any one of following three types of Sd.Kfz. 251 Ausf. D.
Sd.Kfz. 251/1 Ausf. D w/Night Vision "Falke"
- Tools storage box optional to open/close - Fully Functional! - Clear vision blocks with interior, optional to assemble open/close - Fully Functional!